Europe's westernmost country makes one of the most efficient wind towers in the world. ASM Energia produces, in the north of Portugal, wind towers exported to Europe and South America. 95% of the company's output is earmarked for export. In February the company announced an investment of 5 million euros to increase its capacity of building metallic sections for wind towers by 40%. EDP Renovaveis, one of the world's leading renewable energy companies, designs, builds and manages wind farms and solar plants. The company, Portuguese owned, holds important operations in Europe but also USA, Mexico, Canada and Brazil. A global player in regard to wind energy, EDP Renovaveis has been investing in the creation of offshore wind farms. With 3 thousand hours of sunshine per year, Portugal is, naturally, a producer of solar energy technologies. The Portuguese Open Renewables produces photovoltaic modules, having already installed 2 million modules worldwide. The company exports to Africa, South America and Asian countries like Japan and Singapore. Portugal shows ability to carry out not only large-scale projects, but also projects linked to the self-consumption of electricity, especially with regard to photovoltaic solar energy. Ikaros Solar, a Belgian giant of the photovoltaic sector, has the group’s competence center headquarters in Portugal. The Portuguese engineers are dedicated exclusively to the group’s international projects, working for clients such as IKEA, Carrefour, Philips, Brussels Airport and Johnson & Johnson. New technologies for harnessing the ocean’s energy are tested in the immense Portuguese sea. Since 2007, the Finnish company AW Energy has been testing submarine equipment for energy production on the Portuguese coast. The WaveRoller system, based on large blades that oscillate with the movement of the currents, captures wave energy to produce electricity. 10 years later system’s feasibility is confirmed and the WaveRoller will start to produce energy, financed by an investment of 10 million euros from the European Investment Bank. The country's commitment to clean energy also extends to mobility. Portugal is a pioneer in the creation of country-wide electricity distribution networks for the supply of electric cars. 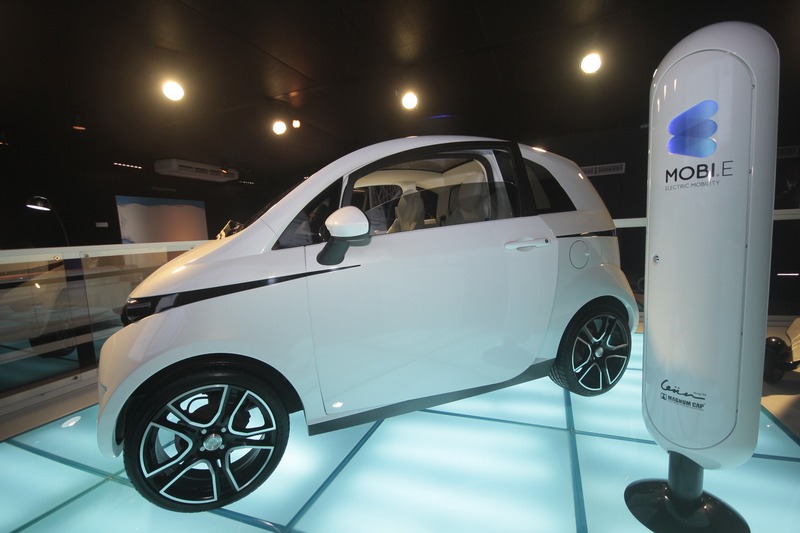 Mobi.e, Electrical Mobility Network, is an integrated network among several stations in all the municipalities of the Portuguese territory that allows the supply of electric vehicles through the use of a charging card. CEiiA - Center for Excellence and Innovation of the Automobile Industry, one of the entities responsible for the development of Mobi.e, is now taking Portuguese knowledge to Brazil. Mobi.me, an electric mobility network management system developed by the engineering and innovation center, now serves as the basis for four ongoing mobility projects in Brazil, one of them in partnership with ITAIPU, a world leader in renewable energy. In addition to the development of products for export, Portugal bets strongly in the use of renewable energy in its territory. A bet that was rewarded in May 2016, when the country consumed exclusively electricity generated by renewable sources of energy for over four days in a row. For a total of 107 hours in a row, Portugal’s consumption needs were assured 100% with renewable energy and, in addition, the country was able to export a significant percentage of electricity. An important achievement that proves that renewable sources can become the main source of energy for a country and that can be replicated by other nations, like South Korea, with the help of Portuguese expertise.